NIR Roof Care, Inc.® > NIR Blog > Swing into Spring Roof Care! The Spring season is a time for celebration, energy, and renewal. As the winter snow melts away, the life that has lay dormant is revived. The world outside is restored to its vibrant color. But as the weather gets warmer, the health of your commercial roof is forgotten until something goes awry. Your spring roof care is important! Springtime brings a host of varying weather, each having adverse effects on the condition of your roof, and costs you thousands in repair when damages aren’t noticed or remedied in time. This seems daunting, but NIR will help your business save money and prevent roof problems before they worsen. With all its warmth and splendor, Spring is also a time for inclement weather that may hurt your roof more than you realize. 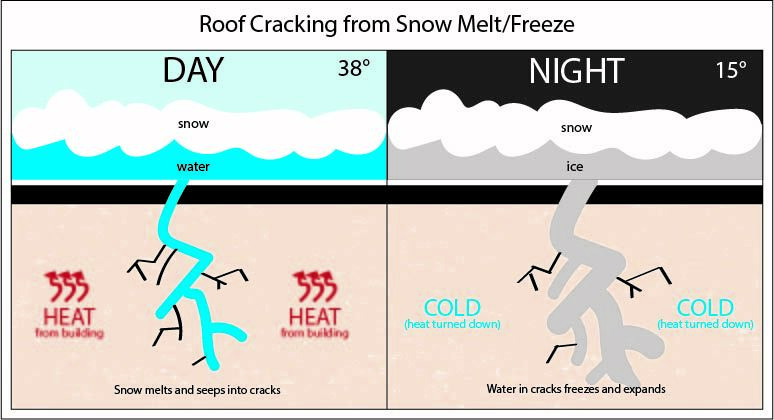 In the mornings, snow begins to melt, and if your roof has undetected cracks, the water will seep into the cracks. When the evening comes, temperatures drop again. The water in your roof’s cracks freezes, and damages the structure of the roof. Freezing water expands about 9% and adds pressure to the already compromised roof structure. With each thaw and re-freeze, the roof materials grow weaker and weaker. This leads to leaks and major structural damage that only grow more problematic when the Spring rain begins to fall. 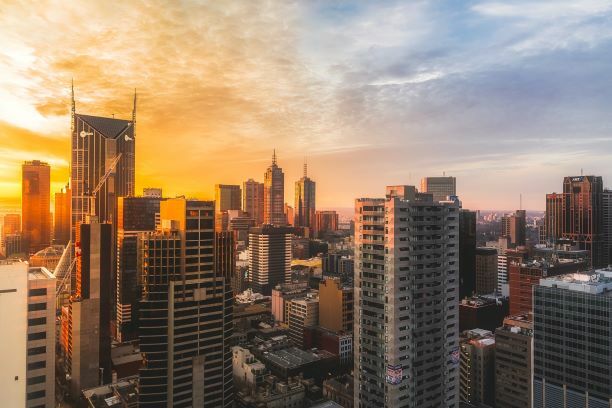 Additionally, when the season really begins to warm up, heat and humidity also has an effect on your commercial roof. Heat affects your roof’s ventilation. This worsens its ability to regulate temperature and further withstand the elements. NIR offers a range of Roof Care Plan®s that cater to your business’ Spring needs. We are committed to repairing damage, minimizing potential damage, and extending the life of your roof. Spring brings growth and renewal after a long few months of cold. Your roof took care of you and your business all winter, now it’s time to take care of your roof with NIR! Posted in NIR Blog and tagged commercial roof, commercial roof care, spring, weather.